A graduate student at the University of Illinois at Chicago came across the first-known film footage of the Eastland disaster while doing online research. 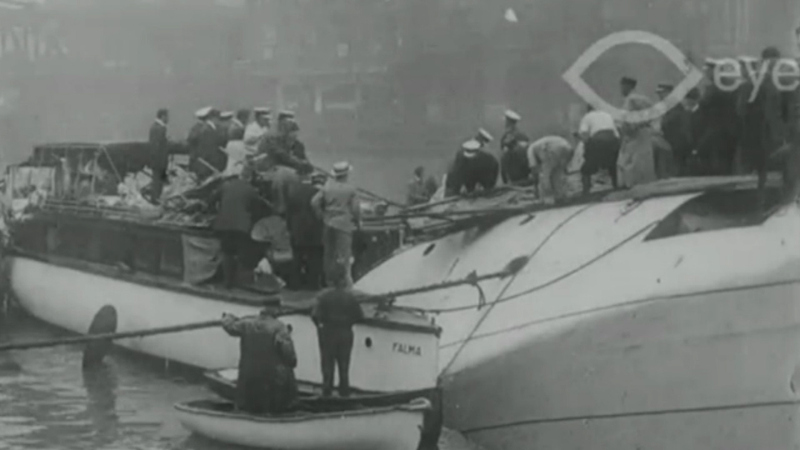 CHICAGO (WLS) -- Historians plan several events this summer to mark 100 years since the SS Eastland capsized on the Chicago River. A ceremony next month will include 844 candles, one for each of the people who died when the ship rolled over in the river in July 1915. The ship was top-heavy with lifeboats, rafts and the passengers. Earlier this year, the first-known film clips of the disaster surfaced when a University Of Illinois At Chicago student found them while looking through unrelated material on Dutch newsreels.